EFTA offers traineeship opportunities in all of the organisation's duty stations. Traineeships are open to young professionals or recent graduates from the EFTA Member States. This brochure gives an overview of the different traineeships and the responsibilities they entail. 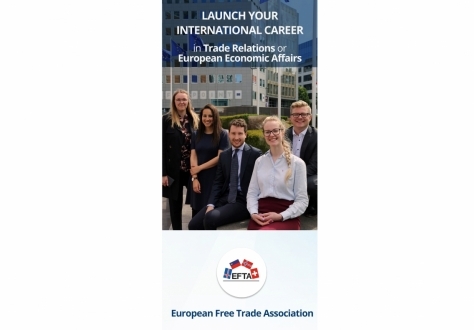 More detailed information can be found on the EFTA careers page.